After the exciting news of Vue.js 2 release, it's time to publish the updated version of The Majesty of Vue.js. While we were working on the update of the book, we found out that if we demonstrate how to build each example with both Vue 1 and 2 side by side, the output is overwhelming. Therefore, we had two options. To overwrite the examples using Vue 2 or to create a second book. We decided that the first book should exist because a lot of Vue developers may find it useful. So, we picked the second option, The Majesty of Vue.js 2. The amount of work needed is much higher than we firstly expected. The structure of the book, the homework exercises/solutions, and the provided code examples have to change in order to comply with Vue 2. This is the reason why we haven't already published it. The book will be published on LeanPub when we have updated a decent number of chapters along with their relative contents. Hopefully, this will happen within the next week. You can have a look at the book and subscribe before being published. 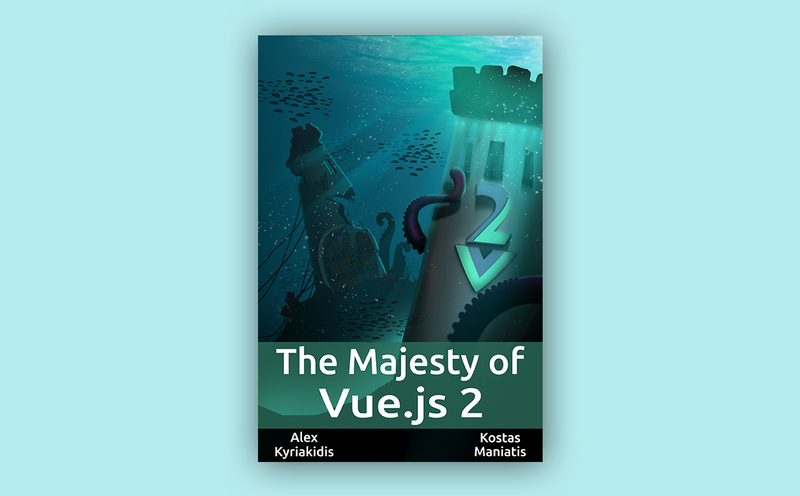 I am a reader of The Majesty of Vue.js, will I get the new book for free? Yes. We will keep our promise and provide free copies to all the readers of the first book. You will get an email with instructions, once the book is published. I am a reader of The Majesty of Vue.js and I'd like to support your work. Can I pay a small amount of the book's price? Yes, when you receive your coupon for the free copy, you will have the option to give any amount you like. We appreciate your support.